Well, I hope you got the ‘Chas and Dave’ reference, they were singing icons to Londoners in the ‘70s. Gary and I even got to see them at the Margate Winter Gardens a couple of years ago. Poor old Chas is now no longer with us. 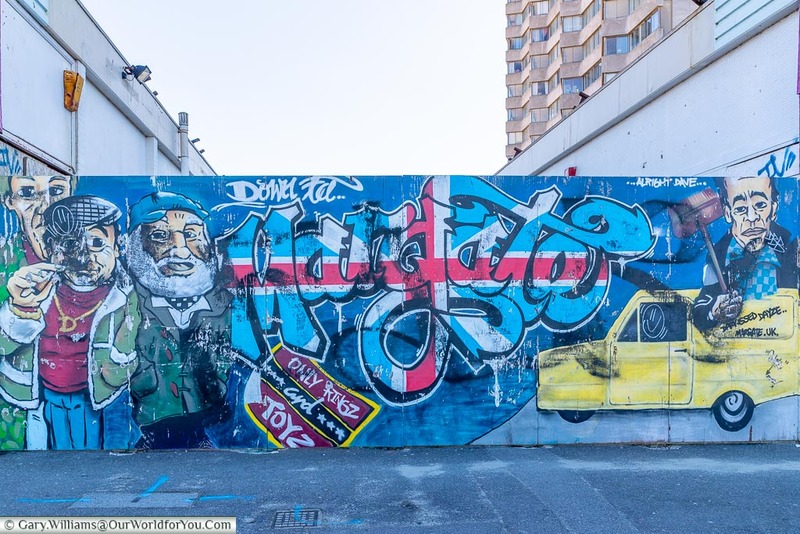 Sorry, I digress, let me tell you a little about Margate in southeast England. 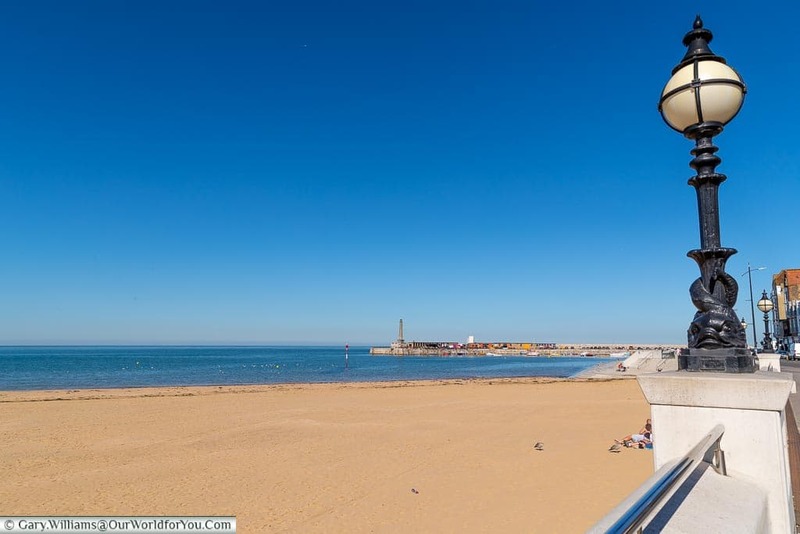 If you’re looking for a bit of “bucket and spade” old England, golden sandy beaches and a seaside town on the up, then Margate is for you. It may seem a little weathered in places but aren’t we all. 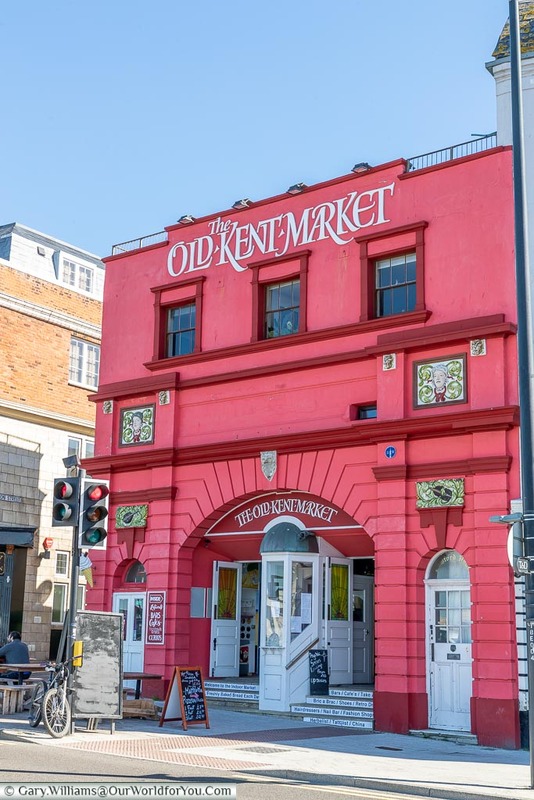 However, you can clearly see that over the past few years a concerted effort has been made and still being made to bring this slice of Victorian Kent, back to life. 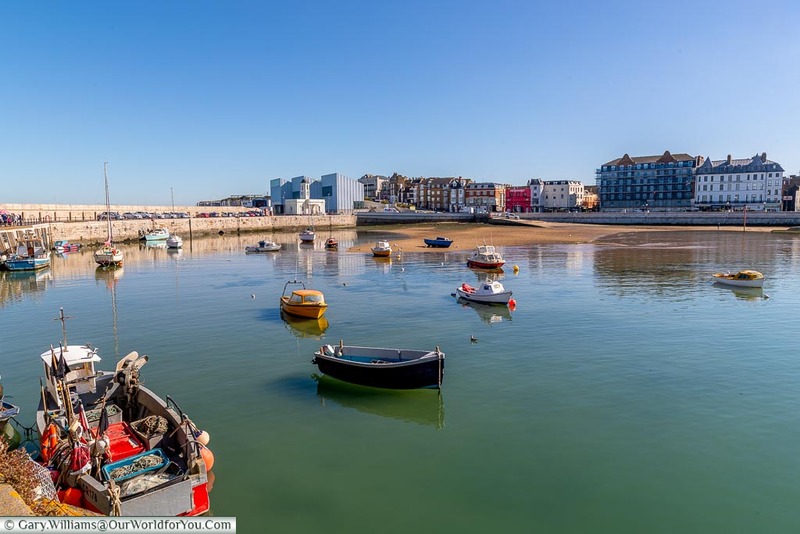 So, I’d say that not only is Margate ideal for a day trip, but you could also turn it into a mini-break and discover more of the region. 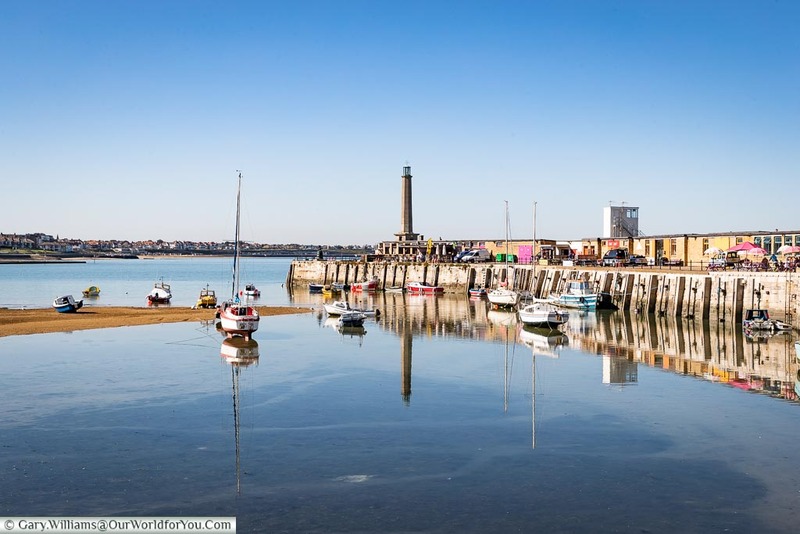 Margate can trace its roots back to the 13th-century; however, it was when it became a ‘limb port’ to Dover and formed part of the “Cinque Ports” that it became more prominent. 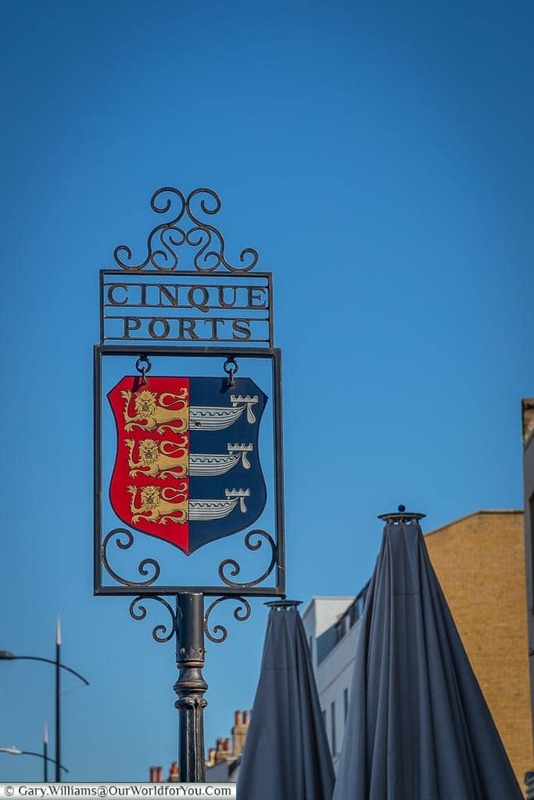 The Cinque Ports are a small collection of harbours along the Kent and Sussex coast and were protected under the Royal Charter for military and trade purposes. 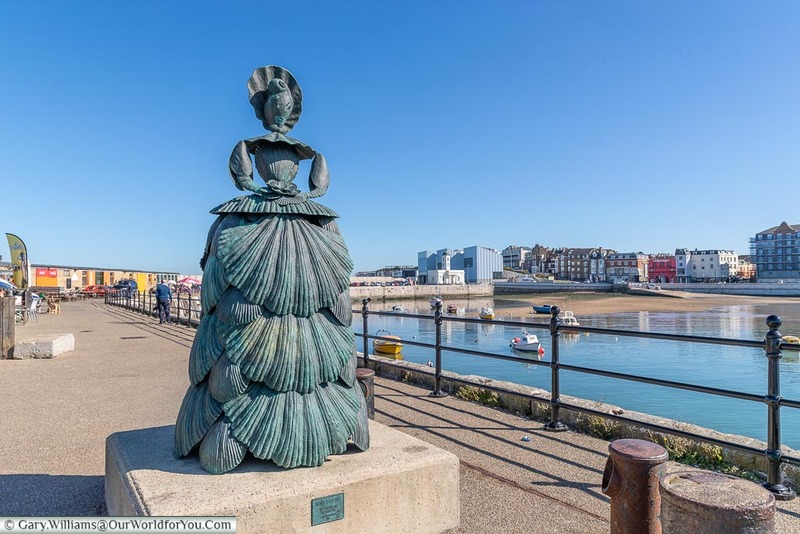 In the last couple of centuries, particularly through Queen Victoria’s reign, Margate made more of a name for itself as a seaside retreat, with visitors from the southeast flocking to its sandy beaches. You can just imagine elegant ladies promenading around the bay. 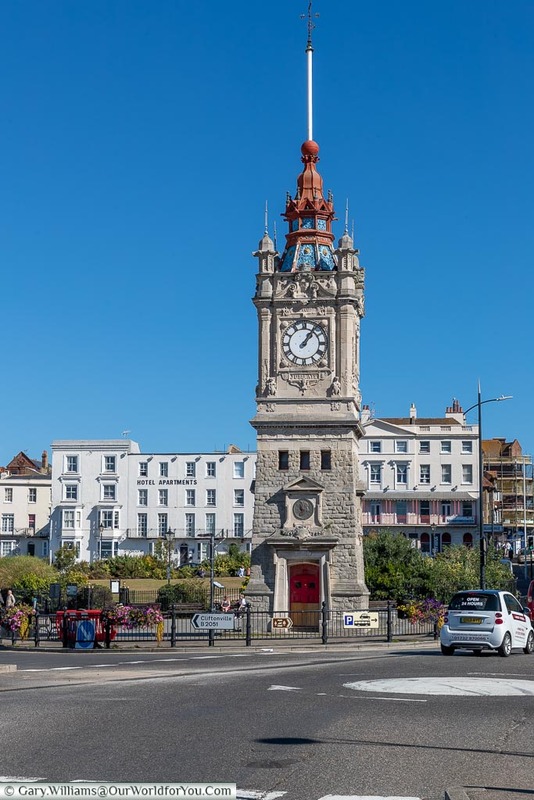 To mark Victoria’s Golden Jubilee a clock-tower and time-ball were erected on the seafront. The time-ball has since been restored and now drops every day at 1pm. It’s similar to the one in Deal and was used by ships out at sea to set their timepieces. 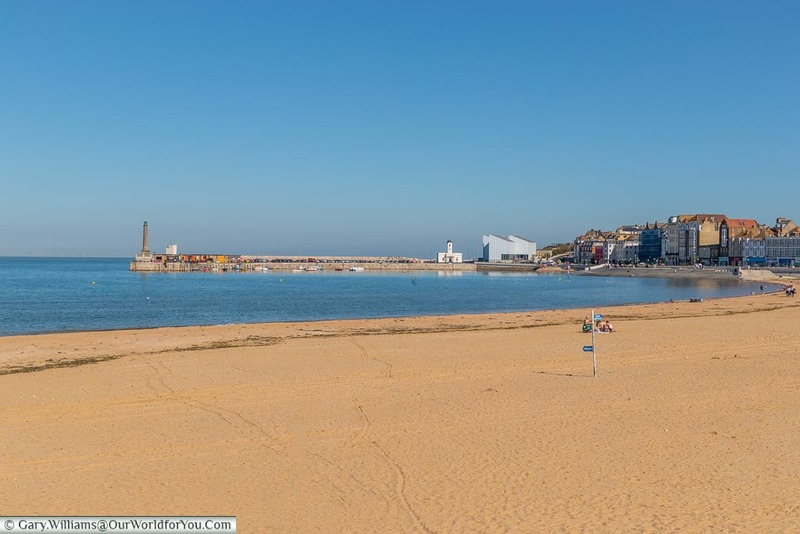 Not all beaches around the Kent coastline can brag about having a sandy beach, but Margate certainly can, so why not show it off? Nowadays, it’s loved by families young and old, you can enjoy building sand castles, lazing behind windbreaks and kicking sand into your brother’s ice-cream (or was that just me?). 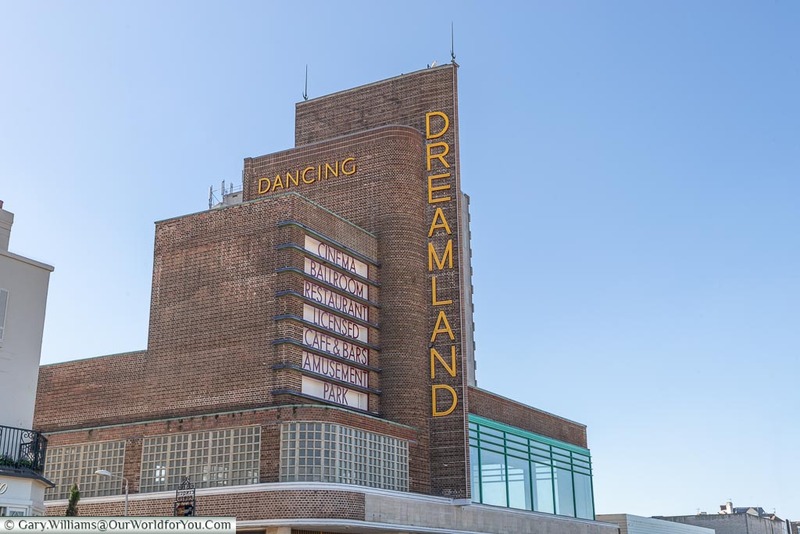 If beaches aren’t your thing, another draw to sunny Margate is Dreamland Amusement Park. With the decline in past decades of traditional seaside fun, Dreamland fell into disrepair and closed in 2006. However, after years of campaigning, in 2015 its doors were flung open again, and thrill seekers and dodgem fans can now scream to their heart’s content. Dreamland is also now staging year-round live music at Hall By The Sea, so I can definitely see this resort becoming livelier during the winter months. For Only Fools and Horses fans, you may remember Dreamland appearing in the "The Jolly Boys' Outing" episode. The gang have a great day out in Margate, including a ride on Dreamland's famous wooden rollercoaster, that ends with a bang. Now, I’m not saying I’m not a roller-coaster fan, but I do enjoy strolling through the old streets and lanes. Discovering quirky little independent shops, and I’m pleased to say that Margate is embracing this more and more. 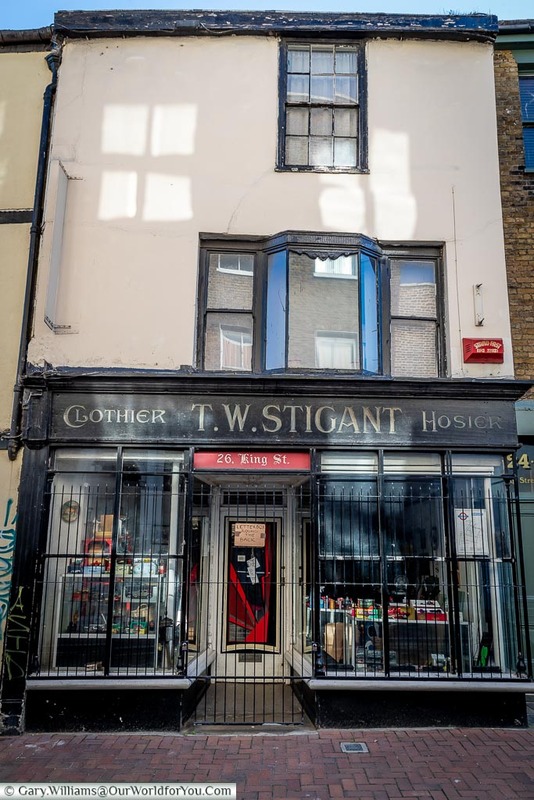 Head around Market Street, Market Place, Duke Street and King Street, and you’ll find some interesting little places. 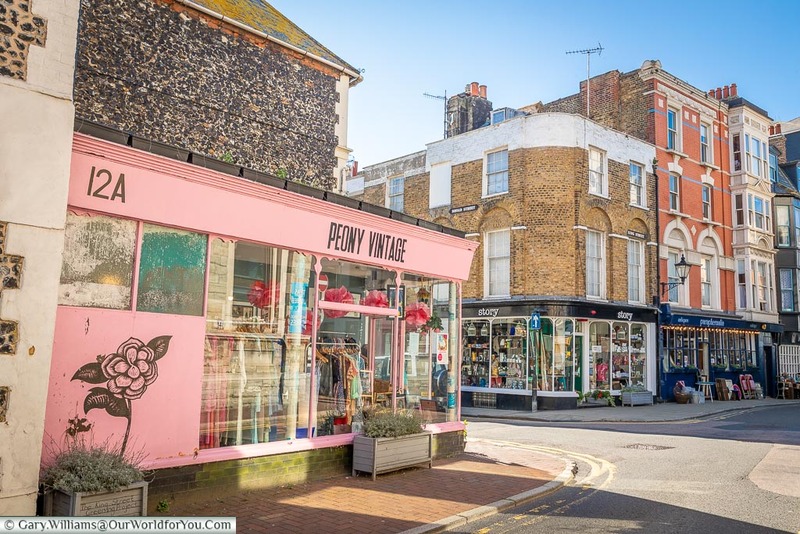 Galleries have sprung up, along with antique shops, jewellers, cafes & bars. 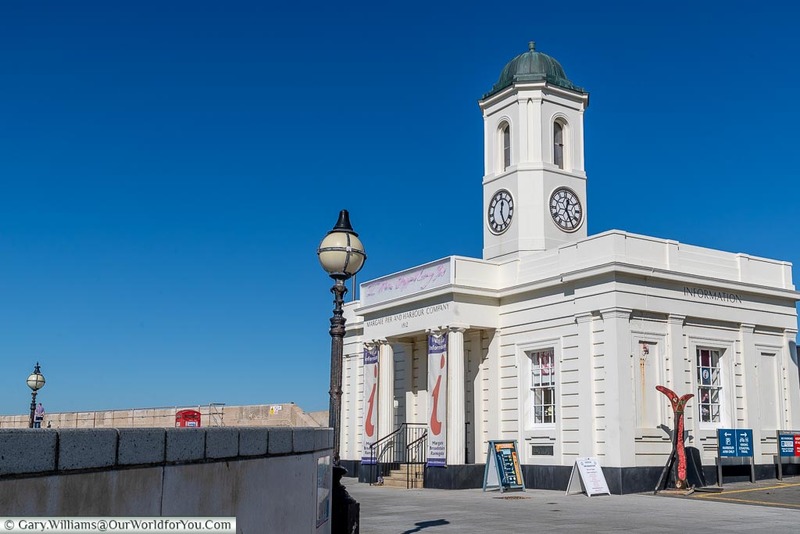 After you’ve enjoyed your al-fresco dining in Market Place, pop into the Old Town Hall and visit Margate’s Museum. 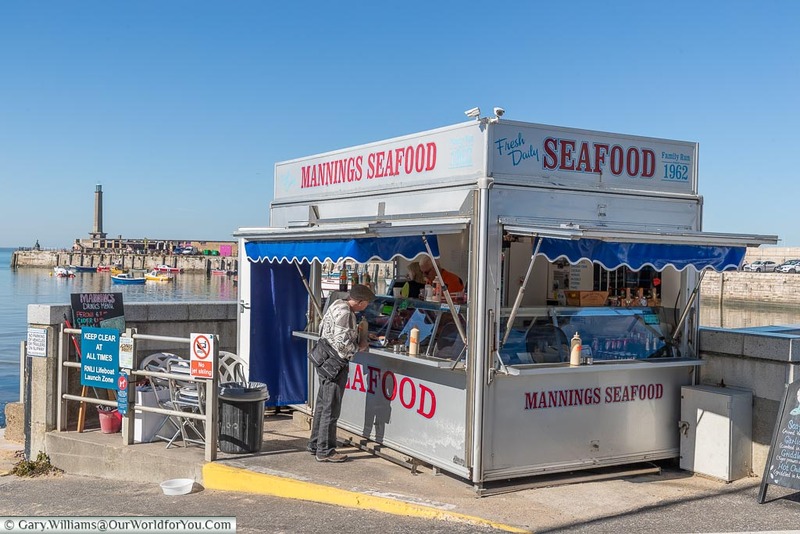 It’s open at weekends and you can catch up on more of Margate’s heritage and maritime history. 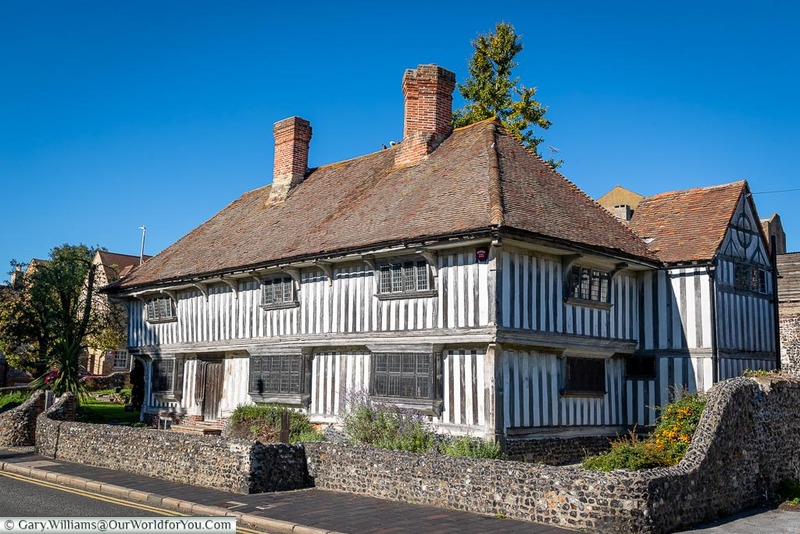 If you continue along King Street, you’ll stumble upon the 16th-Century timber framed Tudor House. Built in 1525 it was once home to mariners, Flemish weavers and cordwainers. This is also open to the public at weekends. 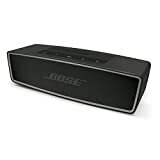 I can hear the harbour calling! 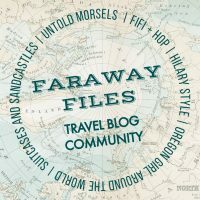 If you’ve had the chance to catch up on some of my other posts, you’ll know how I love the draw of water and a harbour, oh and also fish and chips by the seaside. 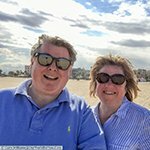 However, before Gary was to treat me to lunch, we took a stroll to Margate’s harbour arm. Now, if you’re an art fan, you’ll probably already know, but just on the shoreline here is the Turner Contemporary Gallery which opened in 2011. 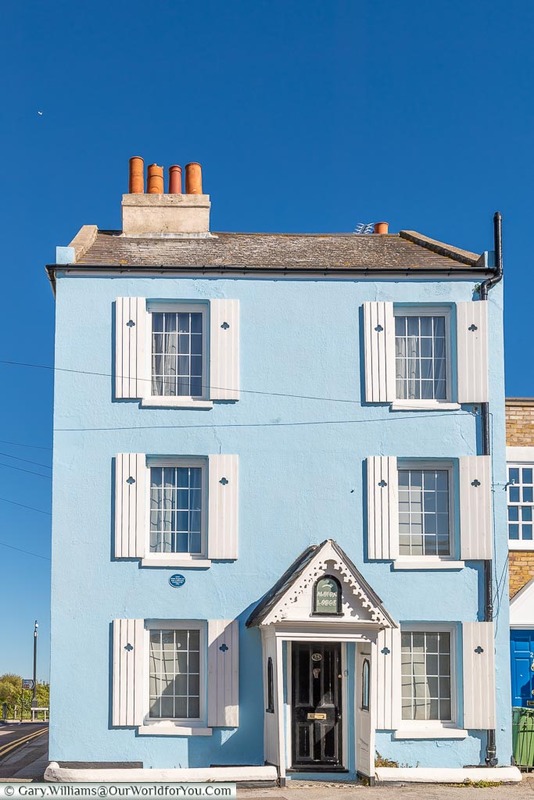 This beautiful gallery is dedicated to the English painter J.M.W.Turner, who lived in Margate. And was erected on the site where his landlady’s B&B once stood. 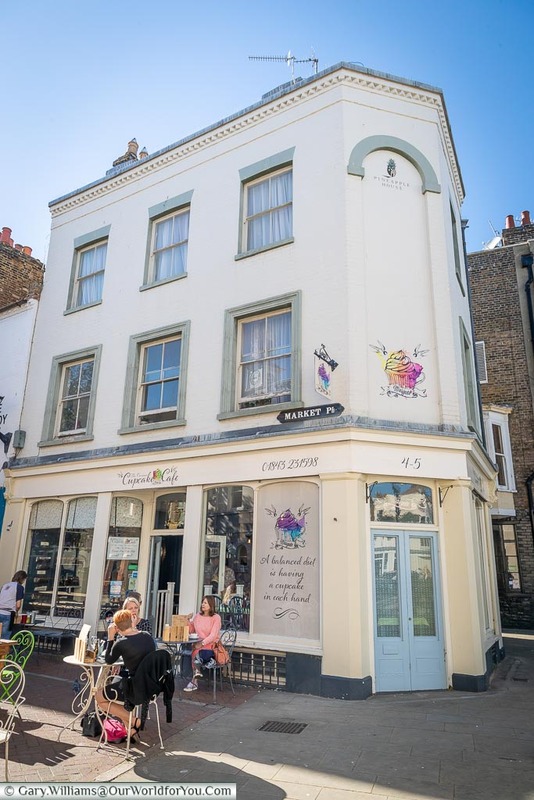 Another famous artist that was brought up in Margate is Tracey Emin, a few Tracey’s exhibits have been on display in the gallery. As with so many of the UK’s galleries, a visit to The Turner Contemporary Gallery is free of charge. 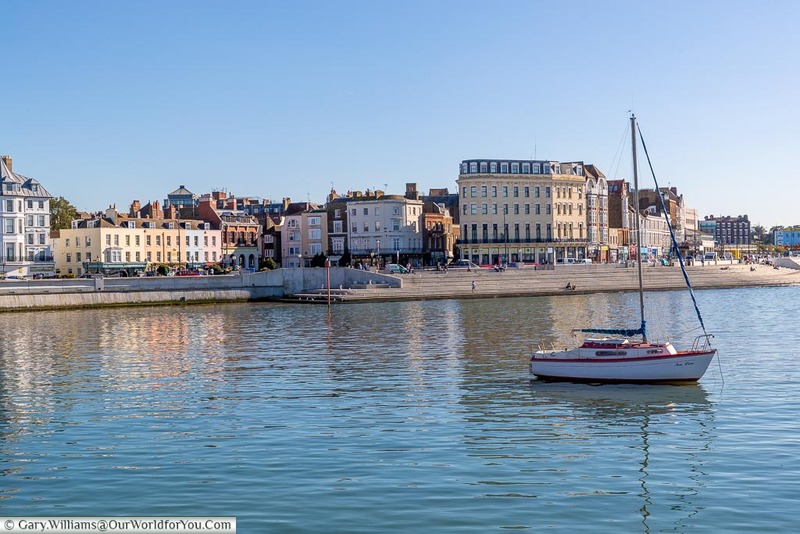 As you wander around the harbour, you’ll first arrive at Droit House, which was once a customs house and now home to the local tourist information. Above the main entrance in pink neon is one of Tracey Emin’s works “I Never Stopped Loving You” in reference to her time growing up in Margate. We stroll further around watching the boats bobbing in the harbour, and we pass by new “pop-ups” of a cafe, gallery and a microbrewery, no, we’re not allowed to stop for a beer yet. We head to the end of the Harbour Arm by the lighthouse and come across the shell lady. Curious to find out more about the 9ft bronze statue, we discover that she was created by a local sculptress, Ann Carrington. It was in honour of JMW Turner’s landlady Mrs Booth. There’s certainly a theme here. Rather than head back along the same path, there are steps up to the top of the harbour, you’ll also catch some incredible views across the bay. Heading back towards The Parade we wander by a shellfish stall; I don’t mind some shellfish/seafood, but I draw the line at jellied eels. As mentioned before Margate attracts a Londoner or two and some of them do have a penchant for jellied eels, my parents certainly do. I can’t see the attraction personally, but each to their own. Across from here is the Old Kent Market, on the site of the old Parade Theatre. 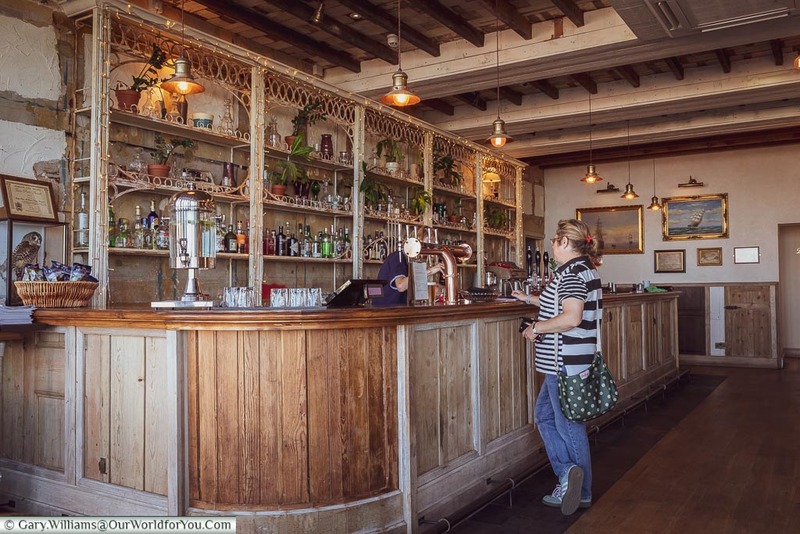 It’s now been lovingly restored and houses independent local stalls. 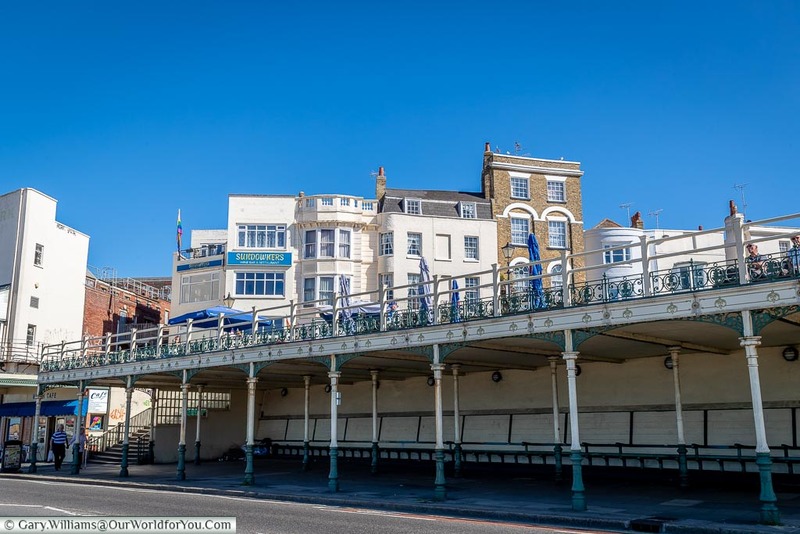 Have you visited any of England’s old seaside towns, drop a comment below to tell us where you enjoyed visiting? 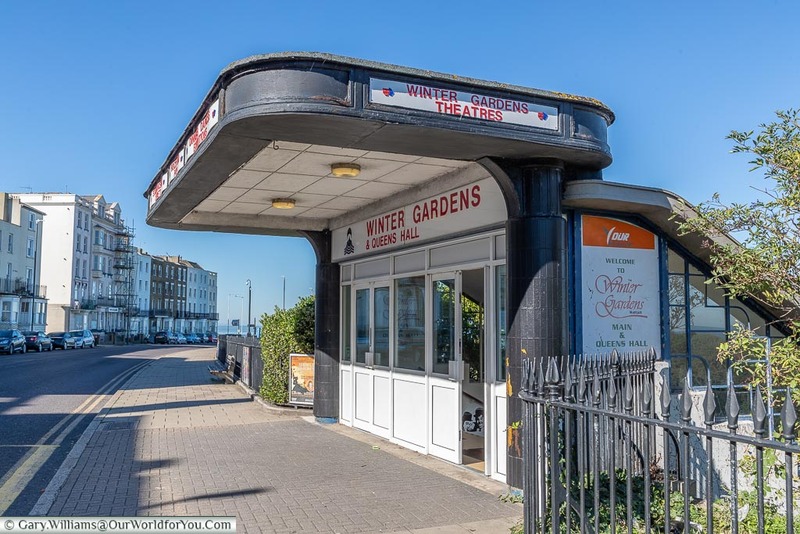 I couldn’t write a post on Margate and not include the Winter Gardens. Yes, it is looking a little tired now, but this theatre is an icon to the town. 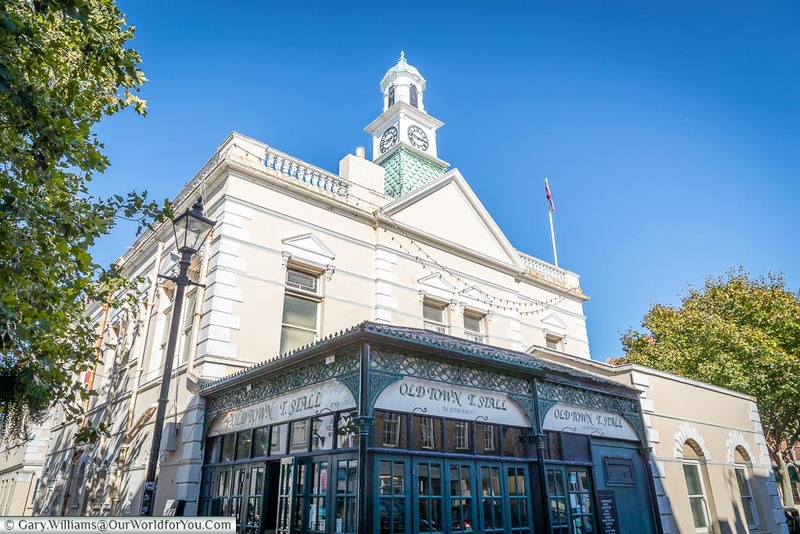 Many famous faces have passed through these doors and entertained the masses over decades, including Dame Vera Lynn, The Beatles and Laurel and Hardy to name a few. Both Gary’s and my families have laughed, joked, smiled and sang here. And as I mentioned above, there’s nothing quite like singing “Down to Margate” with Chas and Dave whilst in Margate. 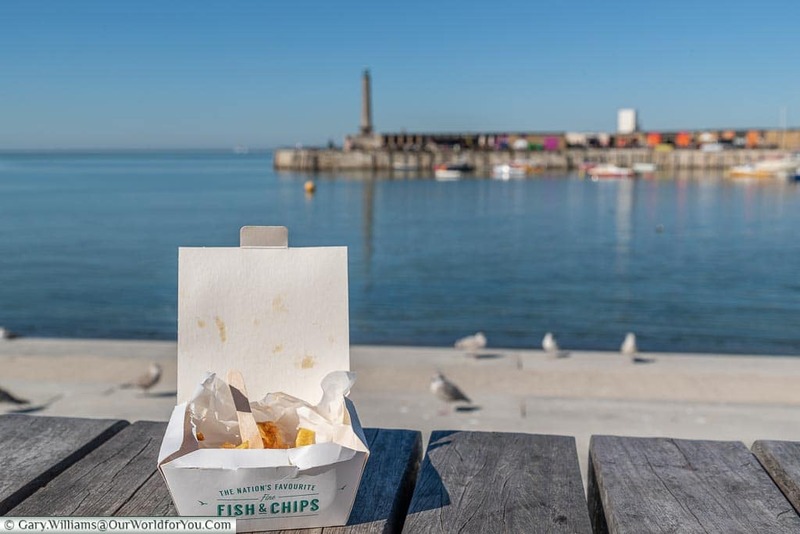 Now it’s time for a well-earned rest, we sit on the harbour steps gazing out to sea and enjoy our fish and chips with lashings of salt and vinegar. 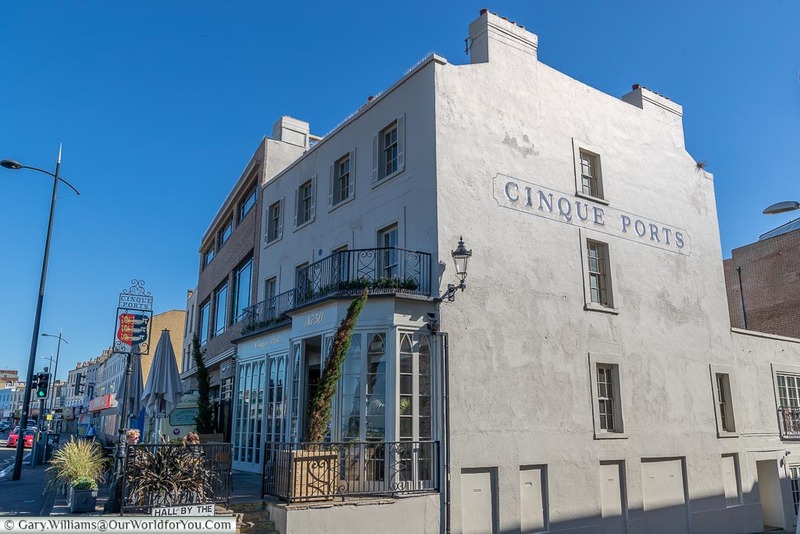 Ok, so I let Gary have sneaky half of Milk Stout in the Cinque Ports pub, and I had the Cinque Ports lager only for research purposes of course. 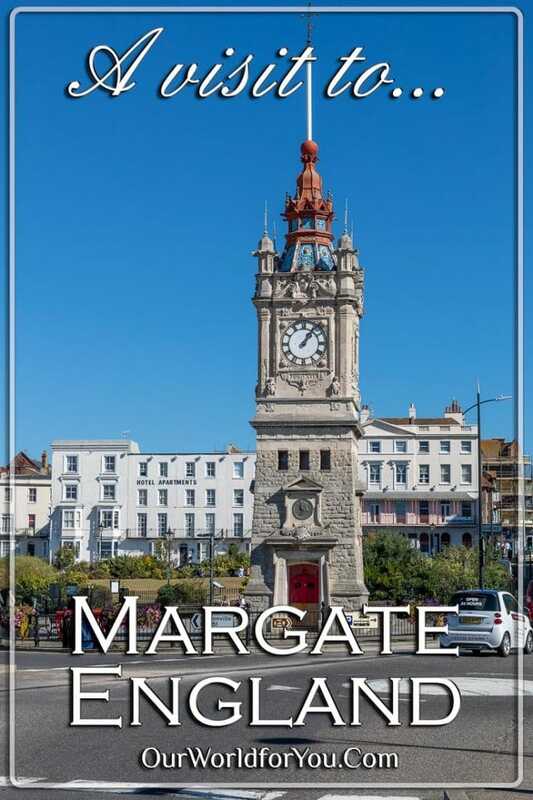 Another couple of Margate’s well-known residents during the 1960s was Hattie Jacques, famed for the “Carry-On” films and her English actor husband, John Le Mesurier. They lived in Trinity Square. Now, you didn’t think I’d visit Margate and pass up on the chance of visiting another cemetery. I thought we’d quickly pop in as there’s an area dedicated to the Commonwealth War Graves Commission, which is always very poignant to wander around. 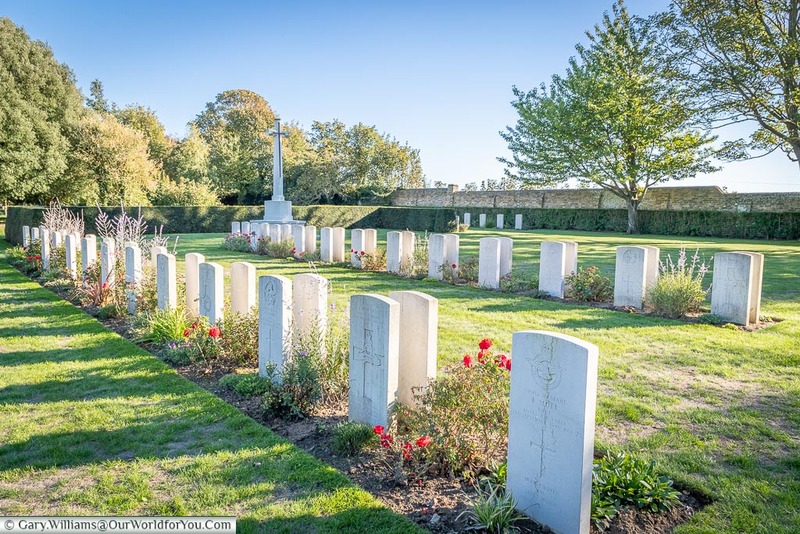 Also, here are graves to those who lost their lives in the Dunkirk evacuation. 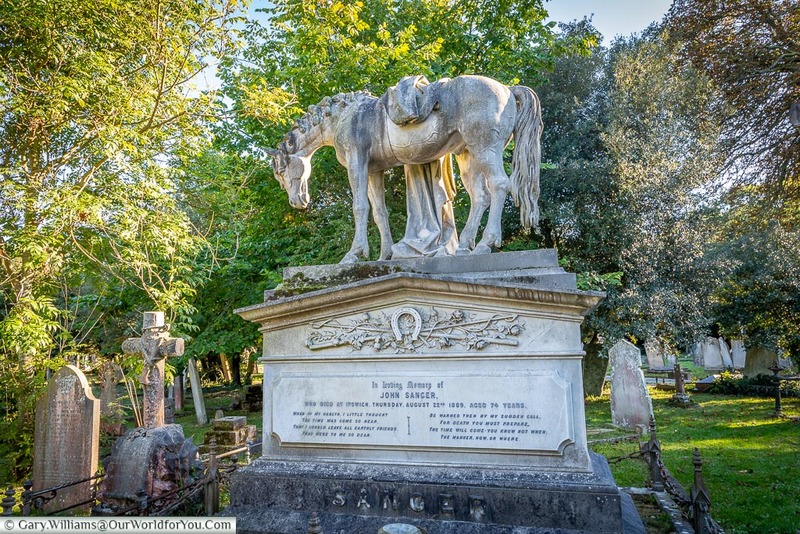 One grave that caught my eye was that of John Sanger a circus proprietor and his forlorn looking pony. During the mid-19th-century, John and his brother George used to tour the country with their performing act. 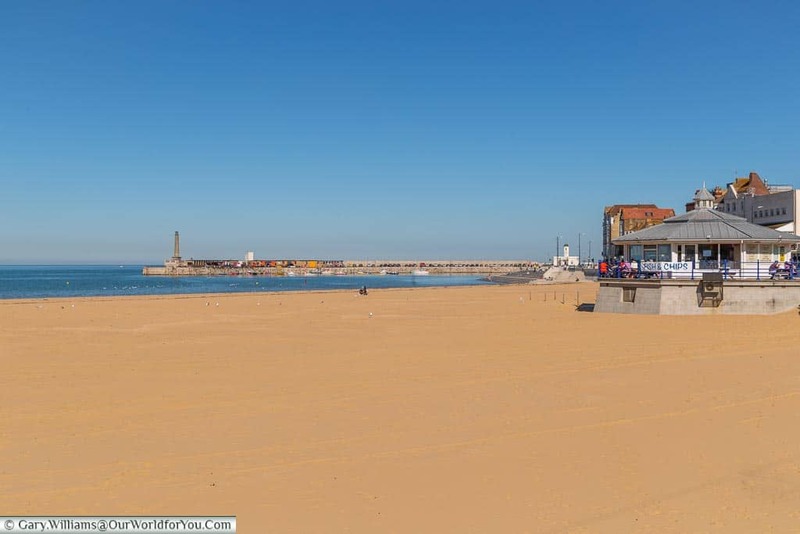 We’ll certainly be returning to Margate, since when we visited it was high-tide and we were unable to see Antony Gormley's sculpture standing out to sea. 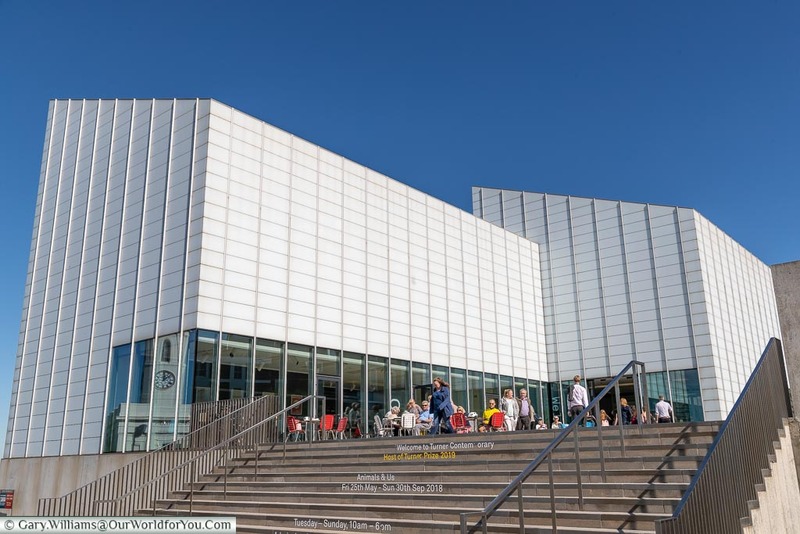 The Turner Contemporary gallery announced that it will now be staying until November 2020. You can catch a train from London St. Pancras International direct to Margate Station, which takes around 1 hour 30 minutes, on the Highspeed service. 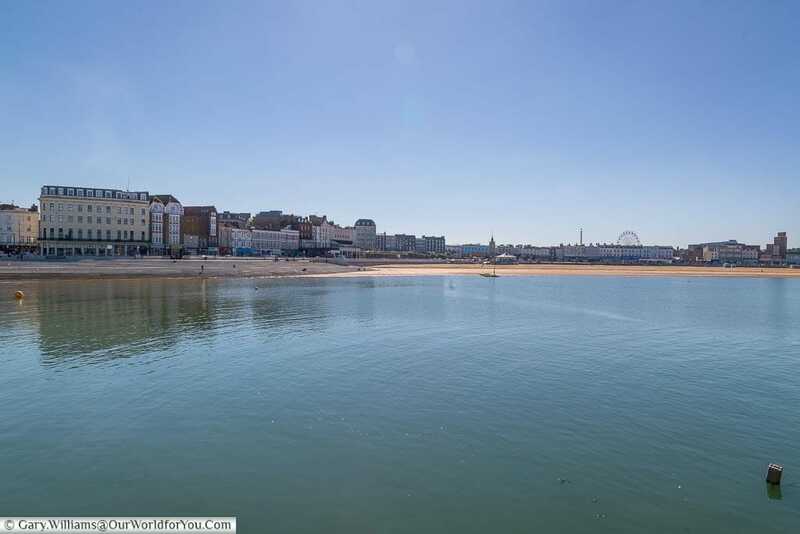 Why not stay overnight and stroll along the seaside in the evening sunshine?